Once Upon a Time is our new topic for Spring 2019. This is a 2-11 school including a school nursery. Selby Community Primary School was designated in February 2016 as a ‘National Support School’ by the National College for Teaching and Leadership. This designation is in recognition of our strong record in successfully providing school-to-school support to others that have needed our help. In all cases this support has had a positive impact on pupil outcomes. Our skilled and experienced staff offer support to a range of schools developing teaching and learning and leadership both locally and nationally. We are one 12 national Talk for Writing training centres offering bespoke training on all aspects of Talk for Writing. Whilst National Support Schools are designated to support schools in challenging circumstances, other ongoing support is available for any school who wishes to seek high quality teaching and learning support from outstanding teachers and school leaders at all levels. In February 2016, the school was appointed as one of the Department for Education's designated experts in the spending and application of pupil premium funding. 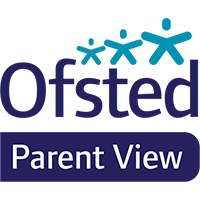 We offer independent expert reviews of a schools' pupil premium strategy. Our Head Teacher, Ian Clennan, is a National Leader of Education and a serving Ofsted inspector. We also have three specialist leaders of education in curriculum, SEN and closing the gap (between different groups of learners). 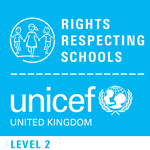 We welcome contact and visits from schools wishing to engage in partnership work. Please contact the admin email to discuss your requirements. If you are interested in Talk for Writing please click here. If you are interested in Maths No Problem click here.